Facebook has always had a problem with kids. The US Children’s Online Privacy Protection Act (COPPA) explicitly forbids the collection of data from children under 13 without parental consent. Rather than go through the complicated verification processes that involve getting parental consent, Facebook, like most online platforms, has previously stated that children under 13 simply cannot have Facebook accounts. Many children have utilised some or all or Facebook’s features using their parent’s or older sibling’s accounts as well. Facebook’s internal messaging functions, and the standalone Messenger app have, at times, been shared by the named adult account holder and one or more of their children. Sometimes this will involve parent accounts connecting to each other simply so kids can Video Chat, somewhat messing up Facebook’s precious map of connections. Enter Messenger Kids, Facebook’s new Messenger app explicitly for the under-13s. Messenger Kids is promoted as having all the fun bits, but in a more careful and controlled space directed by parental consent and safety concerns. To use Messenger Kids, a parent or caregiver uses their own Facebook account to authorise Messenger Kids for their child. That adult then gets a new control panel in Facebook where they can approve (or not) any and all connections that child has. Kids can video chat, message, access a pre-filtered set of animated GIFs and images, and interact in other playful ways. In the press release introducing Messenger Kids, Facebook emphasises that this product was designed after careful research, with a view to giving parents more control, and giving kids a safe space to interact providing them a space to grow as budding digital creators. Which is likely all true, but only tells part of the story. As with all of Facebook’s changes and releases, it’s vitally important to ask: what’s in it for Facebook? While Messenger Kids won’t show ads (to start with), it builds a level of familiarity and trust in Facebook itself. 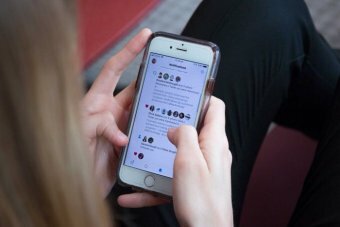 If Messenger Kids allows Facebook to become a space of humour and friendship for years before a “real” Facebook account is allowed, the odds of a child signing up once they’re eligible becomes much greater. In an era when teens are showing less and less interest in Facebook’s main platform, Messenger Kids is part of a clear and deliberate strategy to recapture their interest. It won’t happen overnight, but Facebook’s playing the long game here. If Messenger Kids replaces other video messaging services, then it’s also true that any person kids are talking to will need to have an active Facebook account, whether that’s mum and dad, older cousins or even great grandparents. That’s a clever way to keep a whole range of people actively using Facebook (and actively seeing the ads which make Facebook money). 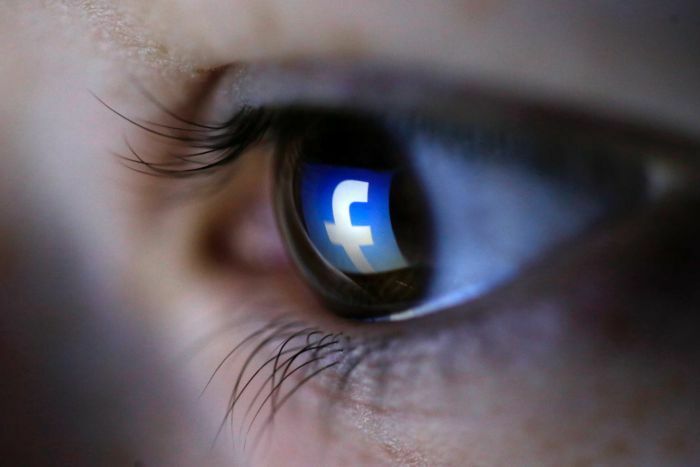 Facebook wants data about you. It wants data about your networks, connections and interactions. It wants data about your kids. And it wants data about their networks, connections and interactions, too. When they set up Messenger Kids, parents have to provide their child’s real name. 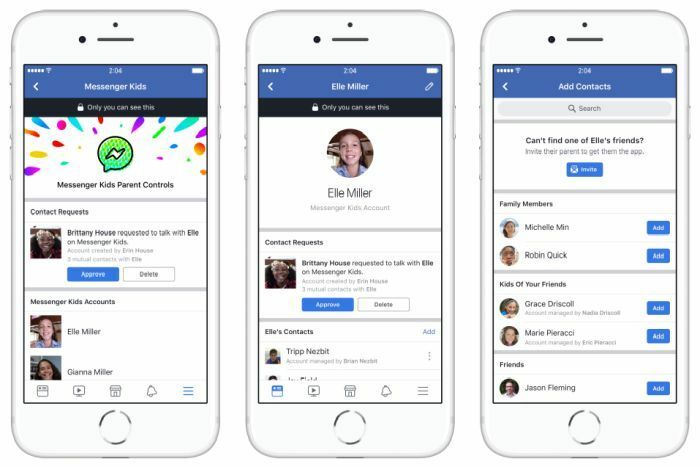 While this is consistent with Facebook’s real names policy, the flexibility to use pseudonyms or other identifiers for kids would demonstrate real commitment to carving out Messenger Kids as something and somewhere different. That’s not the path Facebook has taken. Facebook might not use this data to sell ads to your kids today, but adding kids into the mix will help Facebook refine its maps of what you do (and stop kids using their parents accounts for Video Chat messing up that data). It will also mean Facebook understands much better who has kids, how old they are, who they’re connected to, and so on. 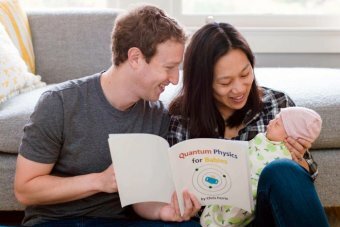 One more rich source of data (kids) adds more depth to the data that makes Facebook tick. And make Facebook profit. Lots of profit. Facebook’s main app, Messenger, Instagram, and WhatsApp (all owned by Facebook) are all free to use because the data generated by users is enough to make Facebook money. Messenger Kids isn’t philanthropy; it’s the same business model, just on a longer scale. Facebook isn’t alone in exploring variations of their apps for children. As far back as 2013 Snapchat released SnapKidz, which basically had all the creative elements of Snapchat, but not the sharing ones. However, their kids-specific app was quietly shelved the following year, probably for lack of any sort of business model. Since early 2017, Google has also shifted to allowing kids to establish an account managed by their parents. It’s not hard to imagine why, when many children now chat with Google daily using the Google Home speakers (which, really, should be called “listeners” first and foremost). Google Home, Amazon’s Echo and soon Apple’s soon-to-be-released HomePod all but remove the textual and tactile barriers which once prevented kids interacting directly with these online giants. A child’s Google Account also allows parents to give them access to YouTube Kids. That said, the content that’s permissible on YouTube Kids has been the subject of a lot of attention recently. In short, if dark parodies of Peppa Pig where Peppa has her teeth painfully removed to the sounds of screaming is going to upset your kids, it’s not safe to leave them alone to navigate YouTube Kids. Nor will the space created by Messenger Kids stop cyberbullying; it might not be anonymous, but parents will only know there’s a problem if they consistently talk to their children about their online interactions. Facebook often proves unable to regulate content effectively, in large part because it relies on algorithms and a relatively small team of people to very rapidly decide what does and doesn’t violate Facebook’s already fuzzy guidelines about acceptability. It’s unclear how Messenger Kids content will be policed, but the standard Facebook approach doesn’t seem sufficient. At the moment, Messenger Kids is only available in the US; before it inevitably arrives in Australia and elsewhere, parents and caregivers need to decide whether they’re comfortable exchanging some of their children’s data for the functionality that the new app provides. And, to be fair, Messenger Kids may well be very useful; a comparatively safe space where kids can talk to each other, explore tools of digital creativity, and increase their online literacies, certainly has its place. Most importantly, though, is this simple reminder: Messenger Kids isn’t (just) screen time, it’s social time. And as with most new social situations, from playgrounds to pools, parent and caregiver supervision helps young people understand, navigate and make the most of those situations. The inverse is true, too: a lack of discussion about new spaces and situations will mean that the chances of kids getting into awkward, difficult, or even dangerous situations goes up exponentially. Messenger Kids isn’t just making Facebook feel normal, familiar and safe for kids. It’s part of Facebook’s long game in terms of staying relevant, while all of Facebook’s existing issues remain. Tama Leaver is an Associate Professor in the Department of Internet Studies at Curtin University in Perth, Western Australia.